Everyone, everywhere seems to be downsizing almost everything from cars and computers to record and book collections. Just a few short years ago, record collections and books could take up entire rooms. Now they fit in the palm of your hand. You don’t need a big SUV to fit more fun in your life. They’re stylish, powerful and roomy — yes roomy. Roomy enough for all your friends, all your swag and even your garage! Want more reasons to get small? Then read on! So You Need Reasons Why? The MINI stuffs an plenty of tech into a small package. It now includes a standard review camera and parking sensors to go along with enhanced smartphone integration, Bluetooth®, available 12-speaker Harman Kardon premium sound system, satellite radio, head-up display and more. While MINI’s design has evolved over the years, it still draws plenty of attention thanks to it retaining its overall shape no matter which model you choose. Offering drivers a wide variety of bold colors, you’ll not only stand out on any road but steer attention away from vehicles priced thousands of dollars more. MINI Cooper ranks at the top of the Compact Sporty Car segment in J.D. Power’s 2017 Initial Quality Study. It received the lowest number of problems per 100 vehicles. The study was based on 77,419 responses, evaluating 189 models after 90 of ownership. The MINI is a fun and powerful drive that offers go-kart dynamics and nimbleness that sets it apart from other subcompact vehicles. MINI’s also no slowpoke when it comes to straight line speed either. With available TwinPower Turbo engines delivering up to 228 horsepower, 236lb-ft of torque and darting to 60 MPH in 5.9 seconds, no one will think it’s just a cute car. Beyond its power, you also have the power to pack it all in. Two doors or 4 doors, it doesn’t matter even if you’re well above 6-feet tall. MINI offers big comfort and all the cargo capacity you need for a trip to the grocery store or a long road trip. It’s really a BMW. MINI’s engines are made by BMW and it drives like one too. With prices starting just above $21,000, it offers sporty performance and style normally found in vehicle with a much bigger price tag. 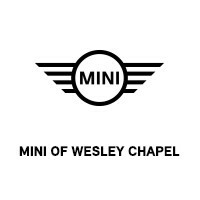 Visit MINI of Wesley Chapel now to buy or lease a new MINI and get a FREE smart watch!